Relevant Fuel Solutions is prepared to test your fuel and assess the corrective action necessary to bring your fuel into operational compliance. Get a free fuel sampling today. Fully automated tank and fuel quality management system with real time fuel condition monitoring and treatment metering. Addresses both organic and inorganic contamination to ensure fuel meets ASTM D975 and ISO 4406 cleanliness standards. 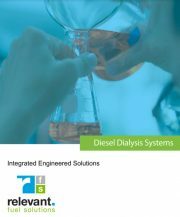 RFS Diesel Dialysis Systems, (RFS DDS) are designed to monitor and maintain a pristine state of middle distillate fuel in conventional bulk fuel storage tanks. RFS DDS systems ensure a fuel quality to provide reliable start and operation of critical service power equipment in businesses such as data centers, food processing, food freezers, mass transportation, university research centers, and hospitals. RFS DDS systems can be designed for local and remote real time monitoring of equipment. RFS DDS Systems are fully automated with PLC Technology and programmed with RFS logic for ease of use and maintenance on an easy to use graphic touch screen display, which is packaged into a NEMA 4X and UL 508 rated enclosure control box. Explosion proof enclosure designs are available for controlled areas. The system monitors fuel contamination levels at specific points of corrective action to ensure fuel cleanliness and quality. The contamination level is monitored and when reaching a saturation point will alert the user of its maintenance needs on the easy to read touch screen graphic display. The alarms can be interfaced with central plant monitoring for customer convenience. Maintenance can be scheduled with a service provider or in-house maintenance personnel allowing the system to be brought back on line. 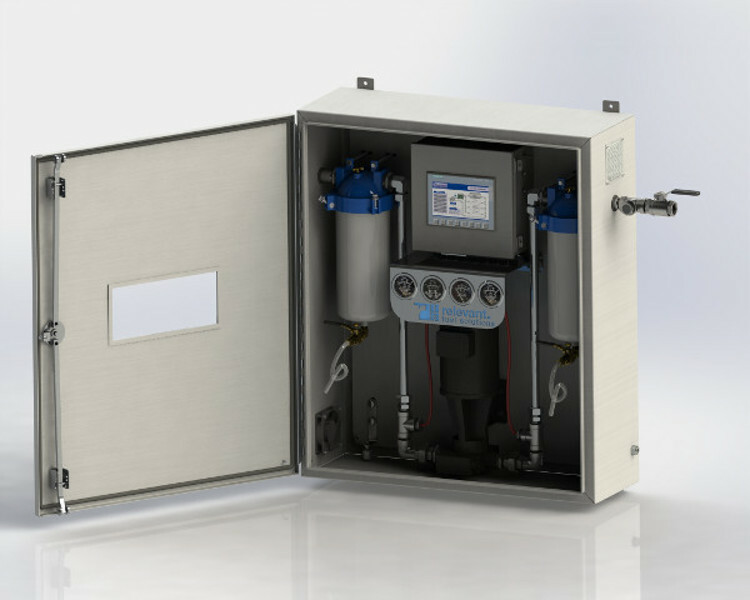 RFS DDS Systems are stand-alone, closed-loop systems with built-in real time fuel quality diagnostics and telemetry providing undisturbed flow of fuel to the equipment. The fuel quality diagnostics are based and bench marked on ASTM and ISO Standards and Specifications. This meets with operational and environmental issues for a safe operation. 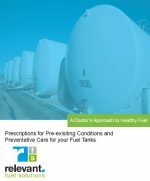 When one is sizing the right Tank and Fuel Quality Management Solution for their application it is necessary to base the sizing on facts and not a guessing game. 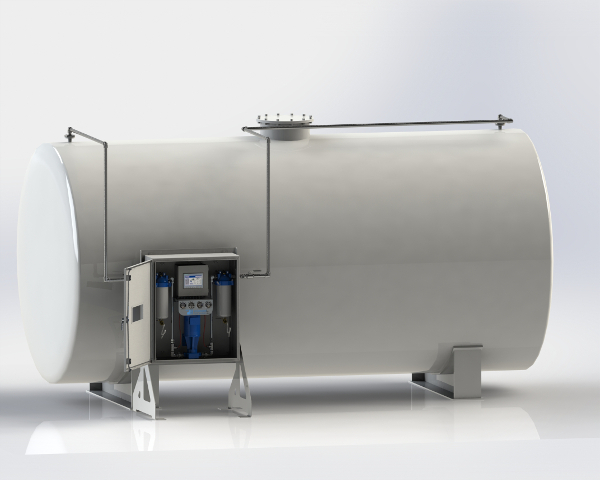 Otherwise you compromise the efficiency, effectiveness and performance of your investment to accomplish clean tanks and fuel that are safe and stabile for today’s sophisticated engines powering our transportation and innovative equipment. RFS DDS 6 = Custom deigned systems are available based on customer needs.